Firecrest MTB have developed two Downhill Skills Course options for you to choose from. One for those riding Downhill Recreationally and the other for those Racing Downhill at Regional, National or World Cup Level. This course is aimed at riders looking to hone their Downhill and Gravity riding skills. You might not be racing but the ‘Skills Essentials’ we pack into this course will give you the edge on the Downhill Trails. From Jumps and Drops through to advance cornering techniques, line choice, finding and carrying speed, we can tailor your course to optimise your Downhill Skills and take them to the next level. We use Video Analysis App Coaches Eye to ensure you get the most from your skills course. Giving you a deeper understanding of where you can work on the vulnerabilities in your riding. We’ll also send your video’s over to you via Dropbox after your course so you can watch them in your own time and you’ll have a great memento from your course to share with friends and family. Every second counts? Well in our experience every tenth of a second counts! 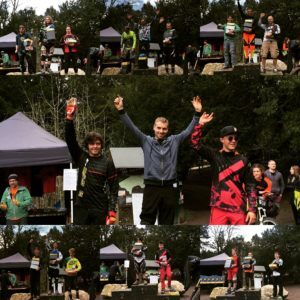 Firecrest Mountain Biking have worked with Mountain Bike Downhill Racers of all ages and abilities to shave thousandths, tenths, seconds and minutes off their Downhill Race Times and give them the competitive edge come race day. The racers we work with have seen their race results improve, picked up big team sponsorships and for the fortunate few achieved their dreams and compete on the World Cup Downhill Circuit at Junior and Senior Level. Putting it simply “if you want to race downhill faster and move up the timesheets this is the course for you”! Firecrest MTB trained riders have topped podiums across the UK for the last 16 years. We have the winning formula! Whether you racing at the Regionals, Nationals or World Cup Downhills over the years we’ve worked with some of the the UK’s fastest Mountain Biker Racers. Our comprehensive Mountain Bike Downhill Race Courses utilise the best sections of the Downhill Tracks on Aston Hill that are recognised as some of the most challenging Short Course Downhills in the UK. Taking the improvements we make with you in these ‘sections’ we teach you how to optimise your skills and use the section based approach to put together faster runs on even the longest of race tracks. In fact many of the riders we’ve worked with over the years have had their best results in Fort William at the British Downhill Series and the Junior and Senior World Cups. Fort William is recognised as one of the longest toughest downhill tracks on the planet underlining the power of ‘The System’ and our approach. Want to know more about how we develop some of the Fastest Downhill Racers in the World on Aston Hill? Go behind the scenes on a training session with World Cup Junior Downhiller Thomas Davies. Firecrest Mountain Biking will work with you to turn your racing aspirations into reality putting together a one off, or a programme of Race Training Sessions that will optimise you’re racing skills and get you up to speed come race day. Trackside Video Analysis using Coaches Eye enables us to give you a deeper understanding of what your doing on the bike. It enables us to pick up on the vulnerabilities in your riding show you why they are happening and quickly fix them. We’ll also send you all of the video’s post course so you can analyse them in your own time and share them with family, friends and via your social network should you wish. Firecrest Mountain Biking will get you moving up the time sheets in no time, so what are you waiting for? Getting your suspension set up for you and why tuning your suspension to the trail will enable you to ride steep technical terrain, jumps and drop off’s with more confidence. Using the building blocks of Section, Sector, Track to put together a winning run regardless of how long and technical the track is. DH Race Course – An introduction to the psychology of Mountain Bike Racing. Including the importance of focusing on the right things at the right time and taking control of your mental game. 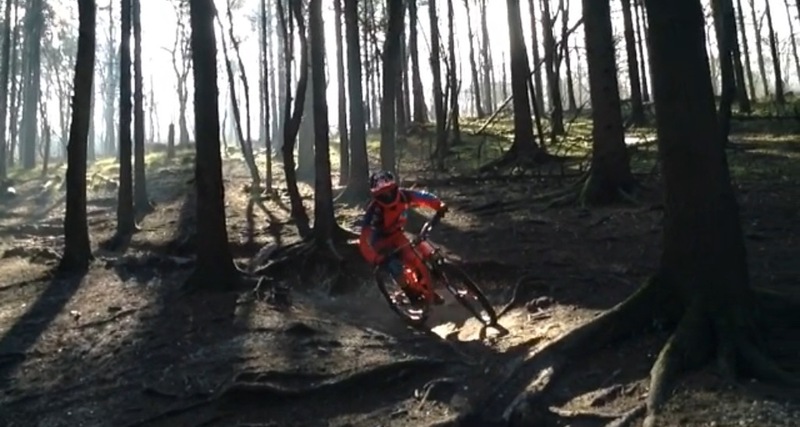 DH Race Course – Developing a ‘Champion Mindset’ to achieve the results your aspiring too. Video Analysis using Coaches Eye with Dropbox Video Sharing. DH Race Course – ‘The Champion Mindset’ understanding the psychology of a champion. DH Race Course – Understanding the ‘Golden Thread’ reading the trail and finding the fastest line. DH Race Course – Section Timing using the Freelap Digital Timing System – See your times improve and understand the effect of ‘Time Perception’.